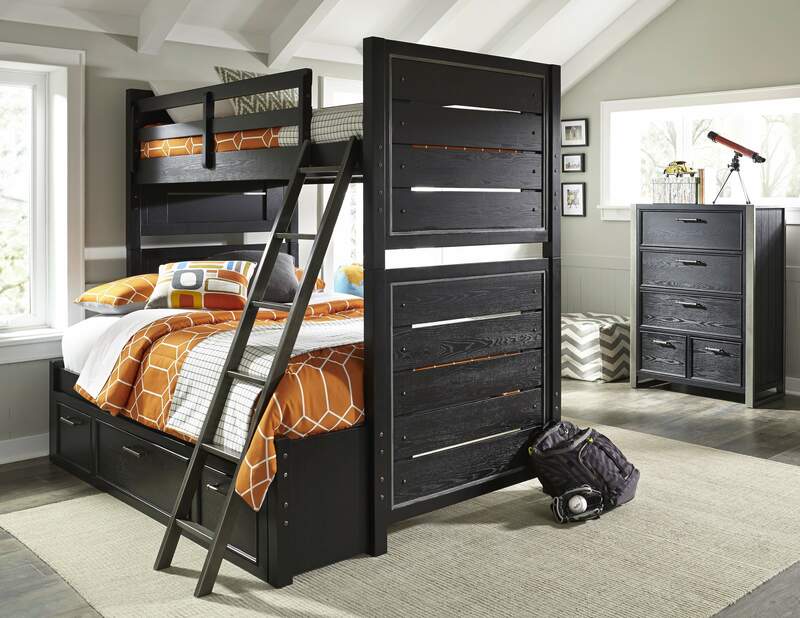 Industrial flair meets Arts and Crafts styling in the Graphite Youth Bedroom collection. Woods appear reclaimed; metal finishes look hand forged. A slatted headboard provides the centerpiece of this sturdy group.